With Amazon's Kindle Fire already set to dominate the budget end of the tablet market, Apple could be looking to compete with a "mini" version of its iconic iPad. It is rumoured that the Cupertino-based company is working on a cheaper version of the current iPad 2. An analyst named Brian White, who works for Ticonderoga Securities, noted to investors yesterday that he counted numerous meetings with technology supply chains at a Chinese trade show this week. "Our research is pointing to the unveiling of a lower priced iPad in the first few months of 2012 that is aimed at expanding the company's market potential by tapping into a more price sensitive consumer segment." 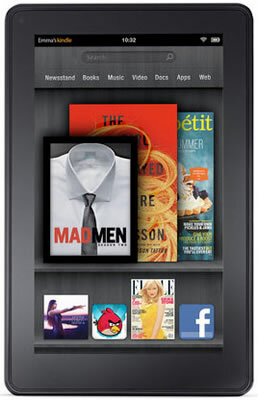 If the rumours become reality consumers should see a stripped down, full size version of the iPad up for sale early next year at the same price point the Kindle Fire is targeting. The "mini" is in reference to the price, not the size, "We believe this lower priced iPad could be priced in the mid-to-high-$200 range," he said. The alleged iPad mini would be followed in the second quarter of 2012 by the release of a much more powerful, and regular priced iPad 3 model. There is no denying that Apple will see the logic of offering a stripped down version of their iPad to compete directly against the Kindle Fire tablet from Amazon. The latter looks set to seriously upset the undisputed dominance of Apple's iconic tablet, and with over 250,000 Kindle Fire pre-orders already, it's set to wipe the floor when compared to all but iPad tablet sales in the next 12 months. Whether this rumour becomes reality is uncertain, but it is definitely worth watching out for as it could potentially knock the wind out of the Kindle Fire's expected runaway success.